More pictures from Siam Rath newspaper of the ongoing vegetarian festival in Thailand. Here, in Chonburi (home of the original Sriracha Sauce), locals are preparing a giant pad mee. 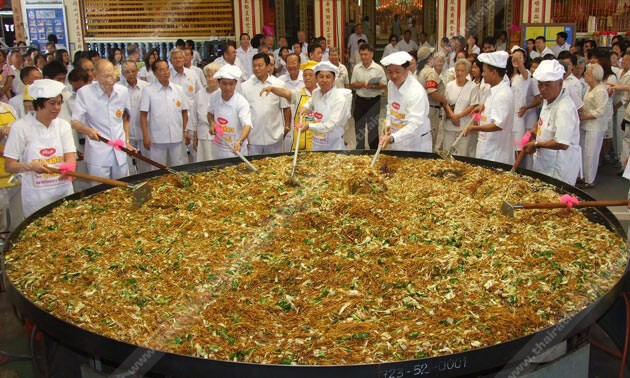 Made with 250 lbs of rice vermicelli, in a wok that has 35 meter circumference.